Title page of the First Folio, by William ShakespeareImage courtesy of Yale UnivThe In Search of Shakespeare website has been retired from PBS.org. 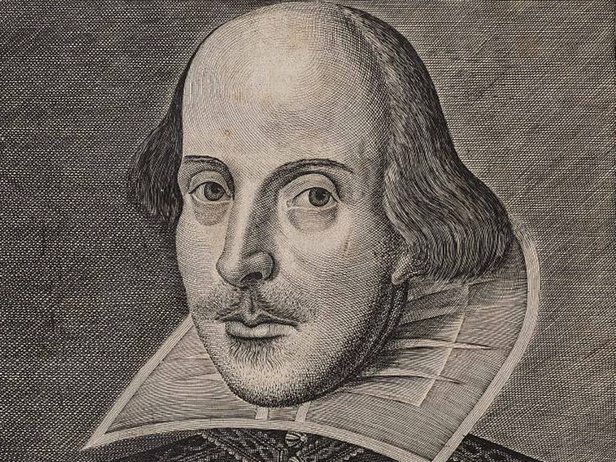 Office archive"In Search of Shakespeare" is a four-part series exploring the life of the world's greatest and most famous writer. Surprisingly, it is the first time that a full-scale life of William Shakespeare has been attempted on TV. Presenter-led, mixing travel, adventure, interviews and specially shot documentary and live action sequences with the RSC on the road, this is an innovative TV history series from the award-winning team which made "In the Footsteps of Alexander the Great" and "Conquistadors." The film is set the life of the poet in the turbulent times in which he lived. In Episode One, we are introduced to the dark side of Queen Elizabeth's police state – in a time of surveillance, militarism and foreign wars. Shakespeare lived through the Spanish Armada, the Gunpowder Plot, the colonization of the New World and the beginnings of British power in America. But most important, he also saw at first hand England's Cultural Revolution; an enforced split with the old medieval English spirit world which was to lead the English people into a brave new Protestant future. A split that Michael Wood argues defined Shakespeare's life. The series takes the form of a detective story, a documentary search, and a journey.